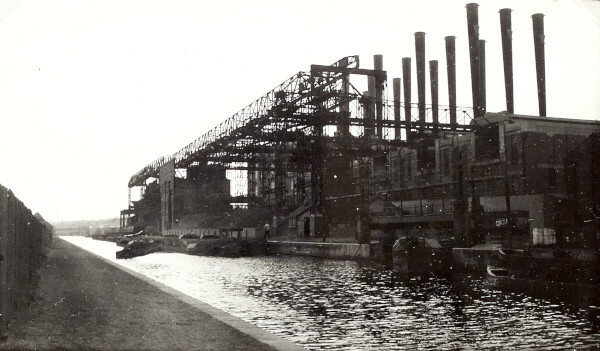 Black and white photograph showing the frame of Nechells Power Station on the Birmingham Canal Navigations. Taken from the opposite side of the canal looking across the water towards the partially constructed power station, there are several day boats on the canal in front of the power station. This photograph is on page 106 of the C N Hadlow photograph album.